Introducing the ultimate closed deck design platform with our unique single piece 6061 plate alloy inserts. This seamless design is ideal for forged, high revving performance engines that require ultimate structural support and reliability. If you’re considering a build, do it properly! Call or email an enquiry today! 11mm factory thread as standard with 1/2 inch and 14mm threading available! 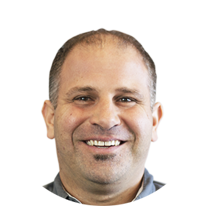 Overview of products and services. Your gateway to engine services. Designed and engineered to allow maximum upper bore strength for high power applications. What is a Closed Deck & Open Deck Engine? If you’re considering a high performance engine build on a Subaru, then at some point you’ll be faced with a crucial question: “To close deck or not to close deck?”. A little background might help here. 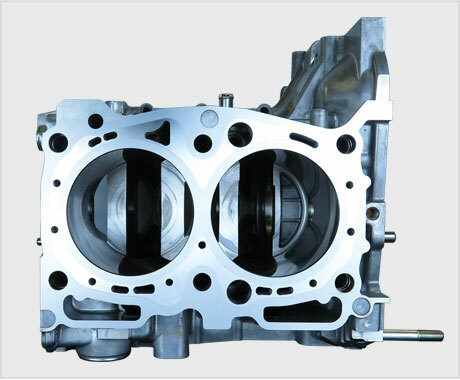 Subarus use a horizontally opposed “boxer” engine with an alloy block and heads. 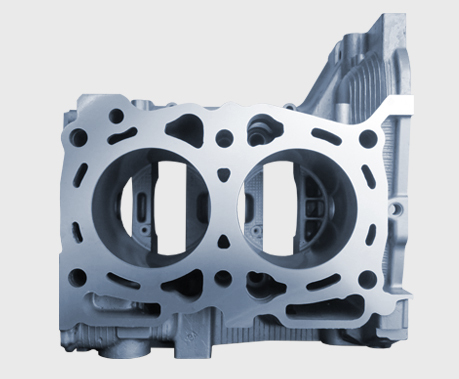 Under high boost and power output, the explosive pressure inside the cylinders on the power strokes can distort the bore, preventing the pistons from moving freely and causing premature engine failure. Disaster. Enter the concept of closed decking, which is basically engineered structural support for the cylinders machined into the block. This is a brief run-down on what closed deck inserts actually are, how to recognise the different types available and help inform you of what you actually need for your proposed power output. Open-deck engines are the most common type in the Subaru range due to lower mass production costs. Open deck designs also allow for better cooling with less restricted coolant flow. They’re great for naturally aspirated engines but lack any real upper bore stability to accommodate for high boost applications. 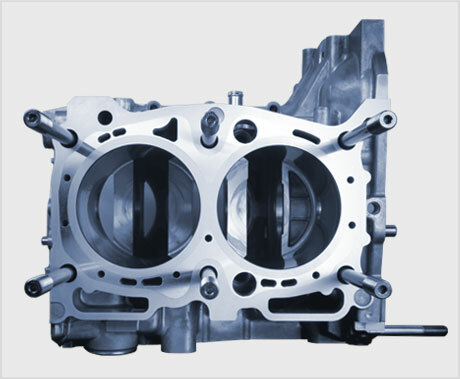 Semi-closed deck blocks are more common in Subaru’s turbo range. Structurally supportive ‘stems’ are placed at the top of each cylinder, significantly increasing bore strength and resistance to combustion cycle attrition. The factory semi-closed deck block can handle linear boost applications, and is rated to support up to 400bhp, after which a closed deck upgrade is essential for engine longevity. Finally, we have the fully closed deck design. 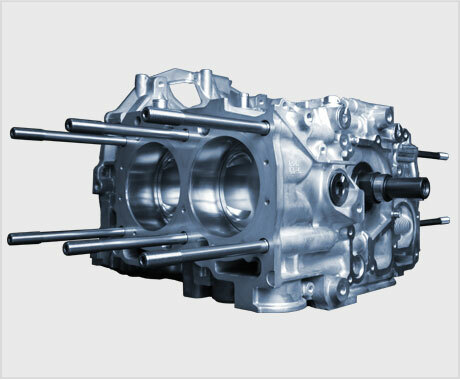 The closed deck engine case was designed to support high power and boost applications. Machined inserts are specially pressed into the deck to completely fill up the space around the cylinder, whilst retaining coolant ports to allow adequate flow and cooling. Closed deck inserts are essential for high power and boost engines, and setups running NOS or other highly volatile race fuels. If you’re after a robust block to handle high power applications reliably and consistently, a fully closed deck engine case is the way to go. There’s nothing new about closed-decking. Subaru released some early turbo models assembled with a fully closed deck EJ20 engine from factory. The Liberty RS was one of these models, and is renowned for being one of the strongest and most reliable sports sedans of its time. Colin McRae placed first in the 1993 WRC Group N event in the Subaru Liberty RS. This win is particularly impressive because Group N rally regulations allowed for very minor enhancements to the vehicle and even enforced restrictors on induction systems. In a bid to reduce production costs, fully closed deck engines were discontinued after the mid-90s. 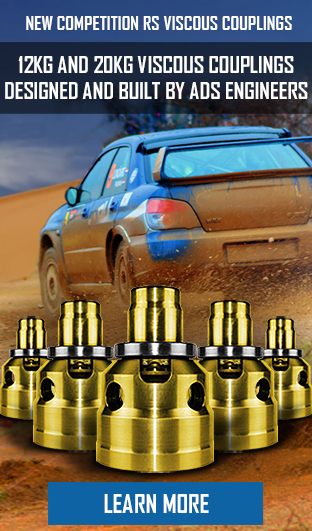 This means that if you’re a keen motorsport enthusiast, or a professional competitor, the standard Subaru engine blocks will no longer support the kind of power you need to win against competition that just gets quicker every year. ADS/Cosworth race engine packages with ADS closed-deck designs can easily support 550 kilowatts to reliably produce highly competitive strip, rally and track times. 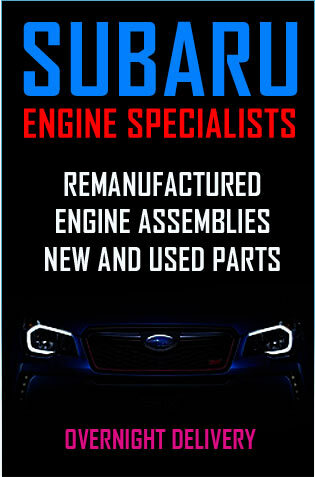 Why ADS Subaru closed deck? Conventional closed decking usually incorporates 6 individual inserts, and sometimes as much as 8. Although this offers considerably greater support than the factory semi-closed deck or open deck design, it can be significantly enhanced. First, the factory semi-closed deck stems are CNC machined out of the case half. The plate alloy then requires a 2 step process; we machine out the insert design from the plate, then use a super fine burr to clean and polish the insert to prepare for installation. At this point, we hydraulic press the closed deck insert into the engine case half until we have 3mm of alloy remaining above the deck surface; this is milled down to 0.3mm via CNC machine. A specific template is then programmed to CNC drill the coolant galleries into the insert; the gallery is designed to maximise cooling efficiency without compromising strength. If the block is to be assembled with 13mm or 14mm head studs, the CNC machine will drill, ream and tap the new thread size. Once the threading procedure is complete, we perform a 2 stage diamond tip cut on the surface to achieve a level finish. The block is now ready for regular bore machining processes required for the build. Plates of 6061 Alloy are pre-cut before the CNC machine precisely machines out the deck insert. The factory semi-closed deck bridges are initially machined out in a staged process. A super-fine carbide is then used to machine the specific finish required for the insert. The block is then cleaned, measured and checked for insert tolerances. After the billet plate is secured to drilling block, our designated bore template is milled out of the plate alloy. The inner block wall template is also machined. A super-fine tungsten carbide is then used to machine the insert to collaborate with our designated block tolerances. Notice the polish finish achieved once the machining process is complete. A finished 6061 plate alloy insert ready for installation. The alloy insert is then pressed into the block. The block is then set up on the CNC bed to allow for surface milling. A milling carbide is then used to machine the insert protrusion down to 0.3mm above the bore surface. 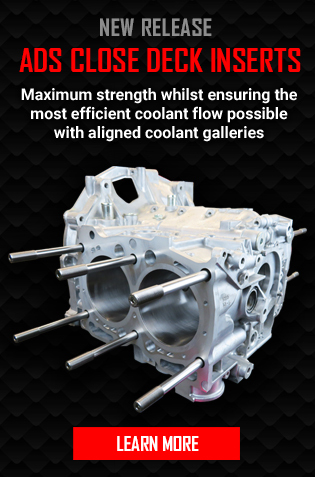 Coolant galleries are bored into the alloy insert following a specific template based on the most efficient cooling port flow design. Block bolt ports are also drilled out of the alloy insert to allow for assembly. A super-fine tungsten carbide is used to polish the alloy galleries and ports. ADS closed deck case halves are an essential starting point for any high performance engine build; you can utilise one of the strongest closed deck blocks available, and still assemble the engine with your own forged internal components. Complete Cosworth EJ25 block assembly utilising our Single piece closed deck case and 13mm head studs.